New Jersey Senator Cory Booker today made it official. 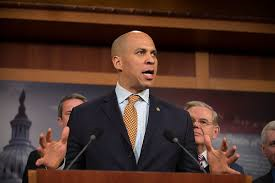 Key points of Booker’s platform include criminal justice reform and combating climate changes. He has also announced that he will not take any campaign donations from corporate PACs or lobbyists. Booker is joining a crowded field, just one year away from the Iowa caucuses. He plans to visit Iowa on February 9th, followed by visits to South Carolina and New Hampshire.